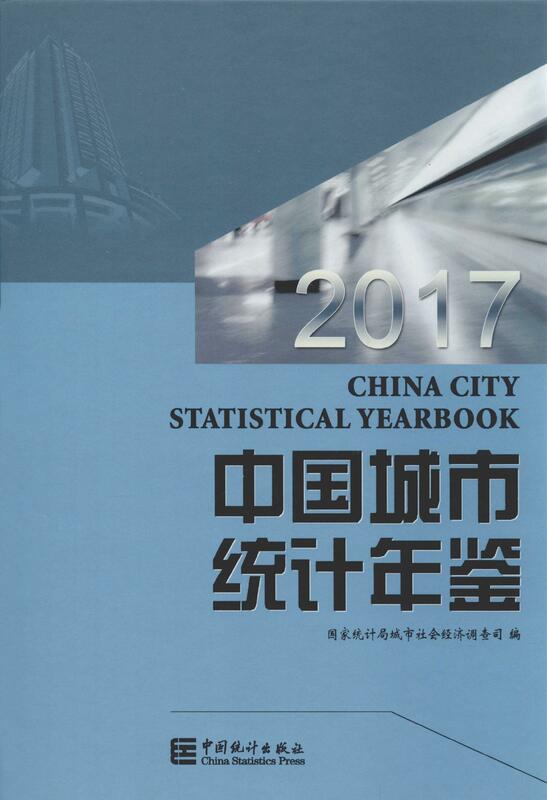 China City Statistical Yearbook is an annual statistical publication.China City Statistical Yearbook 2017 reflects comprehensively the economic and social development of Cities in China.It covers the main socio-economic statistical data of cities at all levels for 2016. The Yearbook contains four parts:Part Ⅰ is the administrative division of all cities,listing city distribution by region and level;Part Ⅱ and Part Ⅲ are the statistical data of cities at prefecture level and above,and county-level respectively on population,labour forces,land resources,general economy,industry,transport,postal and telecommunication services,commerce,foreign trade and economic cooperation,investment in fixed assets,education,culture,public health,people's living conditions,social security,municipal public utilities,and environmental protection;Part Ⅳ is appendix of explanatory notes on main statistical indicators.It is necessary to point out that cities at prefecture level and above and county-level have used different indicator systems of statistics since1997,and some indicators in two categories of cities are not comparable.So the data of cities at prefecture level and above and the data of cities at county-level are divided into two independent parts in the yearbook. The national data in this yearbook do not include those of Hong Kong Special Administrative Region,Macao Special Administrative Region and Taiwan Province.“Total City” listed in the data refers to all administrative regions of the city,including the city districts,counties and the city at lower level;"Districts under City" includes all the city districts,not including counties and the city at lower level.The data of districts under Wuhan City do not include those of Huangpi district,Xinzhoudistrict,Jiangxia district and Caidian district.Some indicators of this yearbook are time-point data,the time of them is at the end of 2016. The Yearbook is compiled for the users working in government departments,city planning departments,institutes of urban socio-economic research,municipal construction and real estate agencies,intermediary services,information consulting agencies and other so on,and it is an important reference book for college teachers and students,businessmen,overseas investors as well as users paying close attention to the development of Chinese cities. The editing and publishing of the yearbook have been fully supported by the Department of Rural Surveys of NBS,Bureaus of Statistics and Survey Offices of NBS at provincial prefecture and county level,and China Statistics Press.Here we would like to express our heartfelt thanks to them.